Which is the safest city in the world? | Fleming. The Economist's Intelligence Unit rated Japanese capital as the world's safest city for 2015 when it came to digital security, health infrastructure and personal safety despite it being the most densely populated city on Earth, with 38 million residents. 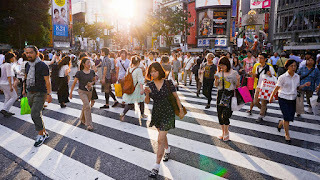 Today, Kelly Chang, a 27-year-old Malaysian, shares her experience in Tokyo with us: “I was in Tokyo a few weeks ago and am still amazed by the people and level of safety in Japan. As typical tourists, we were rushing from one attraction to another and I must have left my new camera in front of a souvenir shops. I realized the error several hours later and had a tiny hope that I might get it back. So I returned to that shop. Imagine my surprise when a seller greeted me at the entrance of the shop, patiently waiting for my return with my camera in his hands. Well, Tokyo really earned the right to be the safest city in the world. I would vote for it if needed!”. 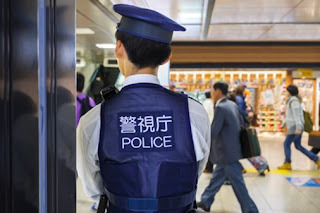 If you lose something in public, there is a greater chance that you find what are you looking for with the Tokyo police. They have to keep all lost and found items for around six months. To conclude, I have to say that Japan is an extremely safe country in which to live and travel. Even when walking alone at night, there is a very low possibility that you will be a victim of confrontational violence in Tokyo. Currently, more than 1 million in the world people migrate to cities every single week. The United Nations expects two-thirds of the world population to live in cities by 2050. One of the most fundamental goals for any city is to create an environment where citizens can build their lives in a feeling of complete safety. We have to remember that safety is the first step towards a smart city. Meanwhile, the key part of safe cities is smart technology. Technologies such as video surveillance, biometrics and so on are gradually changing the way intelligence is being gathered and processed. Without being noticed, CCTVs on the streets increase public safety through better surveillance. We believe that one fine day, Kuala Lumpur will be declared as the safest smart city and the world. What is your prediction?